The warmer weather and longer days that spring brings inspires us to open up the windows, do some deep cleaning, and freshen up our living space. But do you still feel like your house is stuck in the winter blues? Before you start deep cleaning, clearing out the clutter can help improve your space even more, making it happier and easier to keep up with. Follow some of Marie Kondo’s famous tip for getting your house spring ready and filled with joy. The six basic rules to the Konmari method, as the author calls it, are as follows: commit yourself to tidying up, imagine your ideal lifestyle, finish discarding first, tidy by category not location, follow the right order, and only keep items that spark joy. More details on these can be found in her book, “The Life Changing Magic of Tidying Up”. So what can these tips do for you and how are they really going to change your life? First of all, getting rid of things in your house that don’t “spark joy”, which is the backbone in the Konmari method, can be extremely rewarding. You know that piece of artwork you inherited that you really don’t like or the piece of clothing a family member gifted you that has never fit right? Get it out of your house. It’s that simple. It served its purpose, you no longer need it, and it’s time in your house is over. It’s a very liberating feeling not having to carry around items that you don’t truly love. And it leaves you with only items that you treasure and way less stuff to keep up with! Another product of clearing out your house with this method is not needing as much space. Do you use up all the closets in your house or extra rooms with things you’re not even using or really need? Once you’ve completed the Konmari method steps for clearing things out, you’ll have new options for your space. You could set up that yoga room you’ve always wanted, have a usable guest room or maybe even downsize to a smaller, less expensive home. Finally, you will feel more peaceful and relaxed in your home. One task in the Konmari method is going through all sentimental items, including old letters, things from your school days, and anything else that is from the past. Sometimes these things can make us feel weighed down with the old days of our lives. By clearing these out, you make your home more about the present with no regrets from the past, and looking towards the future. Have you ever wondered about Ayurveda or maybe heard the term but never knew what it meant? Ayurveda originated in the East and it translates to the “Science of Longevity”. It looks to the seasons to incorporate different wellness paths and you become an active participant in healing yourself, rather than just taking medicine to heal. The daily routine or, dinacharya, is one of the best Ayurvedic tools for improving overall health and well-being. Incorporating a daily routine, promotes health and simplicity into your life and is considered extremely grounding and nurturing. Your daily routine can be adapted to meet your own unique needs, although a general template is followed. With the right routine in place, you can see a big improvement in your daily life. We took some time to chat with Abby Ritter, Ayurveda Health Counselor and Yoga Instructor, and found out some of what she knows about Ayurveda and how she incorporates these methods into her own life. 1. What benefits do you feel come with the Ayurvedic lifestyle? In essence Ayurveda is the practice of “self-love” or as you hear more often, “self-care.” When we live an Ayurvedic lifestyle we become more connected to ourselves because we learn to live in sync with the rhythms of nature. This in turn supports stronger digestion, helps to eliminate toxins and reduces stress giving us a greater sense of well-being. Ayurveda teaches us that when we live out of sync with the rhythms of nature we ourselves feel out of sync, low energy, stressed and depleted. As we learn how to implement Ayurveda into our daily lives it creates consistency and is a support the gives us more stable energy, calmness and a sense of empowerment. So no matter what your day brings, your daily practices support you physically, mentally and emotionally. 2. Tell us about your daily self-care routine. 3. What can someone expect from attending your Ayurveda 101 workshop in March? They can expect to come away with a lot of wonderful new knowledge about self-care, nutrition and lifestyle. Students will also receive a self-care package so they can begin to implement Ayurvedic practices into their daily life. If you are interested in learning more about Ayurveda and a self-care routine, register for Abby’s upcoming Ayurveda 101: Creating a Self Care Routine workshop taking place on Saturday, March 16th from 12pm to 2pm in our Shaler Village location. This past weekend, the Village Staff joined together for some team building at the Ronald McDonald House kitchen. We wanted to plan a fun, interactive day, and decided what better way to do that than to help others while we spent time together as a team. The morning consisted of putting all of our recipes together and creating a fabulous taco bar lunch for the families who are staying there while their child receives treatment at the adjacent Children’s Hospital. The Ronald McDonald House Pittsburgh is a place that families can stay to receive comfort, care, and support while they are seeking medical care for their children. They have approximately 74 family apartments and provide 24/7 onsite services such as laundry, linens, play areas, tv rooms, a toy forest with hundreds of donated new toys to gift, and other common areas for living. One of the services the Ronald McDonald House provides is pantries full of comfort food and cooked meals provided by volunteers on a weekly basis. This is where the Village stepped in to help! Through meal train, a meal scheduling program, individuals, families, or other organizational groups can schedule a meal that they prepare on-site for the families staying there. This helps take some of the burden of everyday cooking off the families so they can still receive a home-cooked meal while being able to focus on getting their children well. If you have any interest in volunteering for meals, social hour entertainment, wish list giving, and more as a family, group, or individual, click on the link below for more information on how to sign up! There are so many ways to give back and these families are so appreciative. Find out more about her in our interview below. How did you get started in acupuncture. What’s your inspiration? I was first introduced to acupuncture as an undergraduate student in NYC. I had chronic neck and shoulder tension since my teenage years, which had worsened in college due to stress. The student health clinic at my college began offering acupuncture and out of curiosity I signed up for a few sessions. I discovered not only did my neck and shoulders feel better, I also felt more relaxed and had better concentration during that semester. A year later, I was under the care of a physical therapist for a meniscus tear, and as it turned out, he was in his final year of acupuncture school. I had the opportunity to visit the teaching clinic at his acupuncture school (at the Tri-State College of Acupuncture, where I later enrolled) after straining my low back and experienced almost immediate relief. His well-rounded approach to pain management left an impression. Another great influence on my journey into holistic health a few years earlier, was an integrative doctor who helped me during a bout of chronic fatigue and a myriad of symptoms which my primary care physician was unable diagnose. Through an improved diet and taking nutritional and homeopathic supplements, I was able to regain my energy and felt better than I had in years. I learned the importance of being heard and acknowledged, which is an important aspect in the process of healing and wellness. Fast forward a few more years and I was working in textile design in the fashion industry. While I enjoyed my work and found it satisfying, there was something important missing; a sense of greater purpose. Around this time, I had a close friend who bravely fought and ultimately lost her battle with lymphangioleiomyomatosis. She taught me important lessons which I’m still learning; how to live with courage, dignity and grace, how to achieve health and happiness even in illness. I witnessed the challenges she faced advocating for herself and navigating the healthcare system. After her passing, I decided to change career paths and prepared to enroll in a graduate program for acupuncture. I was fortunate to be under the care of a massage therapist at the time, who encouraged me to pursue my goals. What inspires me are my parents, friends, and professional mentors who demonstrate compassion through their work and interactions with others and ultimately how to deepen our humanity. I’m also inspired by people who have sought care of my acupuncture services over the years as they have been integral to my growth as a practitioner. I have immense gratitude for my Kampo teacher, Nigel Dawes, for his many years of mentorship. I feel encouraged and supported by the talented and diverse practitioners I continue to meet within the holistic health community in Pittsburgh. What is something people may not know about the practice of acupuncture? Acupuncture is an ancient medical system developed in China over 2,500 years ago. The spread of Chinese acupuncture and herbology to Korea and Japan occurred in the 6th century. These countries still utilize both therapies in their modern medical systems along with Western medicine. Acupuncture arrived in Vietnam between the 8th and 10th centuries through trade routes. In the West, Jesuit missionaries brought back reports of acupuncture in the 16th century and the practice was adopted by French clinicians. America and Britain became interested in acupuncture in the first half of the 19th century and appeared in various scientific literature. In 1971, acupuncture was back in the spotlight, when a US press corps was given acupuncture during recovery from an emergency appendectomy in China. With the spread of acupuncture to many cultures throughout history, various styles of acupuncture originating from different countries emerged and are practiced today. Acupuncture is a physiological medicine and works through neural signaling. Most acupuncture points are located on or adjacent to peripheral nerve trunks or branches, which are rich in nerve supply, blood and lymphatic vessels. Acupuncture balances the autonomic nervous system and restores homeostasis. By stimulating the release of oxytocin, a hormone that regulates the parasympathetic nervous system while turning down the sympathetic nervous system, it reduces heart rate, lowers blood pressure and promotes relaxation. Acupuncture creates an anti-inflammatory response in the body and increases blood flow. Insertion of acupuncture needles send a signal through the nervous system to the brain, releasing chemicals such as endorphins, norepinephrine, and enkephalin which are natural painkillers. What is your approach to holistic therapy? My approach is working together to achieve your full potential for health. What I love about acupuncture is that it allows me to treat the individual as a whole person and address the physical, mental and spiritual aspects of wellness. In Chinese Medicine, acupuncture is one of the 5 pillars of health. This means there are many components to wellness, including self- cultivation of healthy habits and empowers you to be in charge of your own healing process. Whether someone is coming to see me for stress reduction, management of a chronic condition, or help with a pain or injury, I like to provide self-care tips to incorporate at home between sessions for optimal results. What can clients expect when they sign up for an acupuncture session with you? An initial acupuncture session is approximately 75 minutes to allow for time for a full intake, assessment and treatment. We will discuss your health history and what your health goals are. Follow up sessions are approximately 60 minutes where we will review progress and current symptoms before treatment. Each session is tailored to you and depending on your specific needs, I will incorporate acupuncture with other modalities such as moxibustion, cupping, gua sha, tui na, and electro-acupuncture. My acupuncture training at the Tri-State College of Acupuncture included Traditional Chinese Medicine, Japanese Acupuncture in the teachings of Kiiko Matsumoto, and Acupuncture Physical Medicine developed by Dr. Mark Seem during which I received extensive training in trigger point acupuncture. I’m also certified in facial rejuvenation acupuncture which I offer as a specialty. I integrate various styles of acupuncture to effectively treat and offer support for a wide range of conditions including stress, women’s health, fertility, acute and chronic illness, pain and sports injuries. What’s your favorite health tip that you practice yourself and that you recommend to clients? I have a variety of health tips. So I’ll name a few that I incorporate into my daily routine which I think almost anyone could benefit from. I think it’s important to eat according to the seasons and www.seasonalfoodguide.org makes it easier to find what is in season locally. Drink warm or room temperature water, avoid cold and iced beverages as this is not beneficial for digestion, which is especially important in the fall and winter. Soups, stews and congee are great for colder months. During the warmer months, I recommend adding steamed veggies or ingredients that are cooked to salads to increase digestibility. When I have fresh juices in the summer, I like to add ginger or turmeric to aid with digestion. Growing up in a Japanese household, my family and I would drink green tea after our meals. A non-caffeinated alternative I recommend is ginger tea. During the cold season, garlic, ginger and turmeric are staples in my cooking. Traditional fermented foods are rich in probiotics and promote healthy gut bacteria that boost the immune system. My favorites are sauerkraut and kimchi available at the farmers market. Epsom baths are not only great for alleviating sore muscles and reducing inflammation but also beneficial for relaxation and sleep. Along with Vitamin D deficiency, many of us are magnesium deficient. Magnesium sulfate in epsom salts relax muscles and reduce stress. It also assists the body in flushing out toxins. I usually recommend 2 cups of epsom salt in a bathtub. Foot baths are also a quick and effective routine for relaxation. Add a cup of epsom salt in a half-filled tub and soak your feet several hours before bedtime. I like to add a few drops of lavender essential oil. Try to avoid tv, laptops and smartphones right before bed, as electronics emit a particular type of blue light that interrupt the brain from producing melatonin. Since sleep is essential for the body’s regenerative abilities, incorporating self-care routines before bed prepares us for relaxation and better sleep. As summer approaches and our schedules get less full, we have more time to enjoy the beautiful weather and fun activities that come with it. There’s something about this time of year where we can slow down and really enjoy life. And it’s always a good idea to stay mindful of our habits and to create new ones along the way. While we usually use this time to get into a new book, enjoy the beach, or just relax outside, it’s also a great time to add some yoga and meditation to your daily routine for many reasons. To start, it will help you truly savor the moments of summer that you might normally overlook. The way the grass feels on your bare feet, the smell of the salty beach air, or even the sweet taste of watermelon. Secondly, you’ll start to notice your self-confidence increasing in situations where you used to feel less confident, because you become capable of doing things you never thought you could before (like sticking to a yoga routine or doing a certain stretch!). Another benefit is that you may start to crave a good yoga and meditation class rather in place of a sweet treat. Many people report that the feeling they get from finishing a session is just as enjoyable as the good feeling they get after rewarding themselves with a treat, and this one is calorie free! Lastly, adding a new yoga and meditation routine may help your life perspective change for the better. You can really start to slow down and see the things that really matter and take the time to appreciate them fully and presently. If you’re looking to add a new yoga or mediation class to your summer routine, we have many options to choose from this summer. Check out our class schedule to see what fits your times/needs best. We are also partnering with Venture Outdoors on Saturday, July 28th for a fun nature hike at North Park, followed by an hour long meditative yoga session with Abby Ritter! Register for the North Park Hike and Yoga here. A Celebration of New Beginnings - Saving Animals. Serving Community. This spring, the Village is teaming up with Salon 13 as they hold their grand opening and celebrate a new beginning for their salon and a new beginning for the dogs from Gentle Ben’s Giant Breed Rescue. The new beginnings event will be held Saturday, April 14th between 1:30 and 5:30pm at Salon 13 in Allison Park. The event will feature raffle baskets, live music, food for sale from Sonny’s Smorgasbord Food Truck, and interactions with adoptable dogs from Gentle Ben’s. Donations needed for the dogs are collars, leashes, non-skid stainless steel food and water bowls, tug ropes, Kong toys, Nylabones, Milkbones, canned dog food, and XL dog beds. Gentle Ben’s Giant Breed Rescue is a non-profit large breed dog rescue, and runs solely on donations and funds from the owners of the rescue. Its main focus is to help families who find themselves in unfortunate circumstances such as losing their home, military obligations, divorce, loss of job, medical issue or death of a family member, and can no longer keep their beloved dog. Gentle Ben’s helps give these families peace of mind that their dog will be taken care of in a safe place, fostered, and will be placed in a loving new family. The dogs that are taken by Gentle Ben’s become like part of their family and will stay in their rescue home until a perfect, permanent home is found for them. Once they are placed in a new home, the original family is updated on the journey with pictures and updates so they can see their dog is now happy and safe in their new home. Some dogs may even be placed as therapy dogs. All dogs are fully vetted, vaccinated, heartworm tested, spayed/neutered, and fully socialized and microchipped before being placed for adoption. They also take very seriously the placement of each dog, knowing that these dogs have been through enough changes, and need a forever home. If you are unable to attend the event on April 14th, donations are being accepted at Salon 13 and the Village Center for Holistic Therapy beginning April 1st – April 30th. We are also collecting shoe donations at both Village locations beginning March 1st through April 30th for another charitable cause featuring dogs, Nittany Greyhounds who partners with Funds2Org. Shoes of any kind or condition, even slippers and flip-flops, are accepted. We will bag 25 pairs of shoes to be sent to developing nations where they may help start businesses of shoe repair or recycling or are donated to those in need, especially after natural disasters such a hurricanes. Nittany Greyhounds is one of the few groups that does not just take healthy dogs, but this can be a big expense. For every 100 bags of 25 pairs of shoes, Funds2Org will donate $1,000 to Nittany Greyhounds, who uses this money to rehabilitate any sick or injured dogs that they take in to get them ready for adoption, as well as provide a month's worth of food, a collar and least, a coat and ID, which is given to all adoptees. We appreciate your generosity and kindness in support of places like Gentle Ben’s Giant Breed Rescue and Nittany Greyhounds who help our community and our animal friends. And don’t forget that National Adopt a Shelter Pet day is April 30th! Mindfulness - Be. Here. Now. Mindfulness, which has become a very popular buzzword, is the psychological process of bringing one’s attention to experiences occurring in the present moment, through meditation or other training. If done properly, it can help improve your health, restore emotional balance, increase your resilience to stress, slow the aging process, improve your concentration, and create better sleeping and eating habits. Once you create a mindfulness habit, you’ll start to see your stress level reduced and your happiness level increased. And one of the best things about the practice of mindfulness is that you don’t have to have any special knowledge or skill to do it. Just your mind. And by allowing ourselves to stay in the present, we stop focusing on the past which can bring up feeling of regret or longing, as well as the anxiety that comes from focusing on the future and all the unknowns, and we are able to fully enjoy what is happening right now. We start to feel more alive because we are actually living our life in the moment it’s happening and putting our focus into the present. The practice of mindfulness has grown so much that there are multiple way to practice it these days, many of which are very easy to incorporate into your everyday life. One of the easiest to start with is a mindfulness app. These usually contain guided session focusing on different categories to pull your focus into the present and take you step by step through the process. Another way is to become aware of your breathing. This is a very simple trick that can be done anywhere and anytime. Thought clouds are another mindfulness technique. It involves stepping away from your thoughts and seeing them from a distance without giving them traction to turn negative. Meal times can be another easy mindful activity by using all of our senses while you eat and slowing way down during your meal. Finally, yoga is a great way to incorporate mindfulness and exercise as it allows you to use breathing techniques, body awareness, and to be focused on the present. There are so many opportunities to practice mindfulness in your everyday life that can help strengthen our mind, body, and spirit. No matter what you do to practice mindfulness, remember that it will get easier with time and you will start seeing all the benefits being fully present has to offer. Every year around the holidays, the Village chooses a worthwhile cause to sponsor at our annual benefit. This year, our hearts and help are going to Project STAR at the Children’s Institute. Project STAR was created as a way to help potential adopting families recognize their own abilities, strengths and see all the support available to them when considering the adoption of children with special needs. Placing these children had been challenging, and Project STAR has helped give these children a better opportunity to be a part of a permanent family. The STAR in Project STAR stands for Specialized Training for Adoption Readiness and has been very successful at opening the hearts and minds of potential forever families. This project has been a combined effort through The Children’s Institute, Three Rivers Adoption Council, and Allegheny County Office of Children, Youth, and Families. 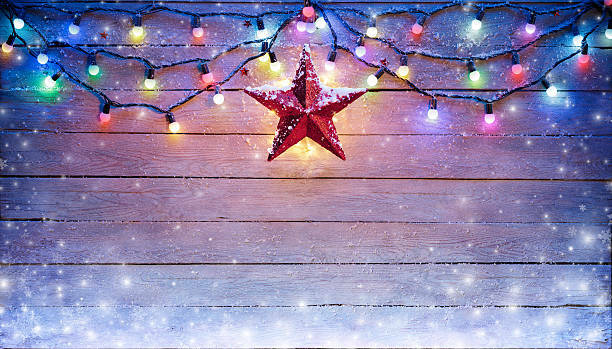 For everything that Project STAR has done and continues to do, we invite you to come out and support this amazing cause at our annual Holiday Benefit at Casey’s Family Restaurant, Christmas Circus, on Saturday, December 16th from 3 to 11pm. We will have basket raffles and family entertainment. We ask that you bring an unwrapped gift that will be given to a child in foster care. Gifts for children of all ages are needed, with an increased need for kids ages 13 – 21. If you cannot attend the benefit, we will also be accepting drop off donations at both Village locations, Casey’s Family Restaurant, and Salon 13 starting November 20th – December 15th. We appreciate your generosity, kindness, and support! Coming up next month, we are adding a cardio based workout workshop series to our Fall schedule. Not only is this a new type of workout for the Village, but the instructor is new to us as well. That's why this month, we are featuring Dr. Nuket Curran, PT in our staff spotlight interview. 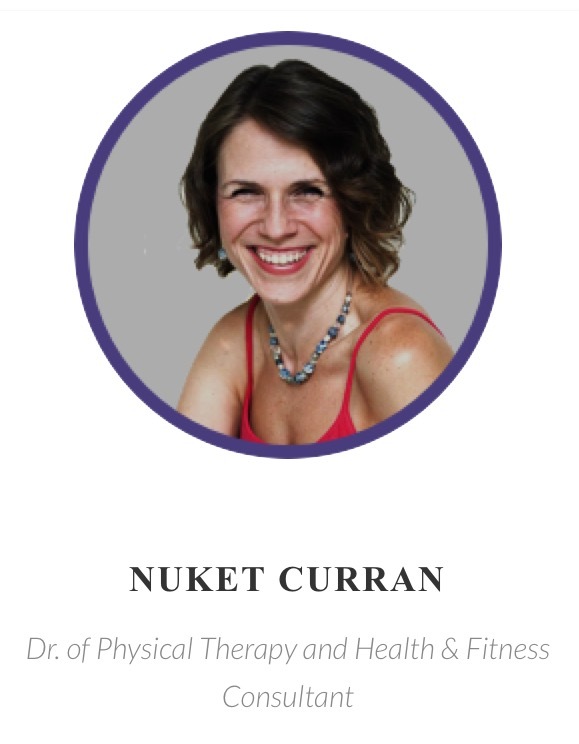 Nuket offers both physical therapy and fitness training. Here's what she had to share with us. 1. How did you get started in fitness training? What's your inspiration? As a physical therapist for over 20 years, maintaining health is powerful. Not only does it help someone return from injury but it also improves their mind set by increasing their strength. I found myself in need and sought out fitness training to keep me on track and that is what started it all. 2. What is your approach to Holistic therapy? Holistic therapy is one that centers on all of the individual’s needs, not just the single one they are coming to you for. In my role as a physical therapist, developing plans for rehabilitation after injury and fitness programs encompasses the client’s individual set of needs. 3. What can clients expect when they sign up for a session with you? Focus and attention. I try to gear the group workouts to match up with everyone in the room. Modification options to decrease impact, range of motion and aerobic effort. The bottom line is enjoying yourself and as a result, finding yourself committed to getting fit for YOU. 4. What's your favorite health tip that you practice yourself and that you recommend to clients? Accountability. Finding someone to commit with you helps so much. Making your exercise and commitment to your health non-negotiable. That means doing it even when you don’t feel like it. With my fitness clients, I offer them a check-in system to keep them on track. If you're interested in checking out Cardio Soul, the upoming cardio based workout workshop series taught by Nuket starting Thursday, October 5th from 12:00pm to 12:45pm at our Shaler location, click here to sign up. We're Opening Our Doors for Our OPEN HOUSE! Here at the Village North - Shaler location, we've been awaiting the completion of our expanded space over the summer and now that it's finished, we can't wait to OPEN up our HOUSE to the community! Join us during the week of September 11th through the 15th for FREE CLASSES, light snacks, and a tour of the new space. Check out our new Fall Community Class Schedule below as well as pics of the new space. We can't wait to see you there! School's almost in session and summer's coming to an end. It's time to get back to a routine. At the Village, we've been getting our new space in Shaler ready and anxiously anticipating some exciting events for the fall. One of the biggest changes to our space is the new, upper level Yoga studio. We've added some new classes and new times to our upcoming schedule, which will start Monday, September 11th. In addition to our previous evening meditation class, we have also added a lunchtime meditation class. In these classes, you will enter into a state of awareness to reduce stress, promote relaxation and experience mental clarity. Along with that, we've incorporated more yoga and Piyo classes. Our yoga classes offer a chance to use breath work, work on standing poses, and increase flexibility, while our PiYO class uses bodyweight exercises and Pilates techniques with low impact movements. If you're starting to get your fall routine in order, check out our new fall schedule to see what works best for you. We're hopeful that we can meet your needs better with our expanded options this year! This month, we’re focusing our attention on a subject that’s close to our heart at the Village; Mental Health Awareness. Mental illnesses can affect people of any age, race, religion, or income. It is a medical condition that disrupts a person’s thinking, feeling, mood, and ability to relate to others and daily functioning. Statistics show that at least 1 in 5 people will experience a mental health issue in their life. Because of this, it’s important that we all work together to learn how to recognize a problem, provide support, and fight the stigma that can surround mental health problems. When someone you care about is suffering from a mental health disorder, it may or may not be as obvious as it seems. Some symptoms to watch for could include sadness, sudden change in moods, change in performance at work, change in weight or appearance, changes in sleep patterns, and withdrawal from socializing. The person suffering from a mental health issue may also have hallucinations, suicidal thoughts, be in denial of very obvious problems, or turn to drugs and/or alcohol as a coping mechanism. If any of these symptoms are present, your loved one may need help. In some cases, just having someone to talk to about what they’re going through is helpful and in some rare cases, can be enough. Most of the time though, professional treatment needs to be sought. Many times, a loved one will need to help set up and take them to the first therapy session. Another important point to remember is that there should be no judgement towards the person seeking treatment. Express your concerns, listen to them genuinely, and encourage them to continue seeking treatment. Finally, we have to learn how to remove the stigma that comes with mental health disorders. Many people who live with these conditions end up feeling isolated and ashamed. We have to realize, just like any other disease, mental health is a real disorder that requires help and there should be no shame in receiving it. And the more stories that are shared from people suffering from mental illnesses, along with their loved ones, the more we can spread the awareness that it is a real problem and that there is real help available, with no need to feel bad about it. If you or someone you know needs help, don’t put it off. Below are some useful links for receiving support and more info on mental health. It’s easy to get pulled into the social media trap of seeing perfect bodies everywhere and feeling less than perfect about your own. Posting pictures to receive more likes and followers and validate our worth is becoming an addiction and it can wreak havoc on our self-image if we’re not careful. According to Common Sense Media, adolescence are experiencing pressure to be camera ready at all times, leading to an increase in dissatisfaction with their bodies, causing a rise in self-destructive behavior. Our body image is not something we are born with, but is a very complex subject that is influenced by many factors such as our friends, social media interaction, and our families. So how can we turn this negative body image into a more positive one? We have to practice healthier ways of looking at ourselves and our body, and continually reinforce these positive thoughts. We have to appreciate our body for everything it CAN do for us. Remind yourself that beauty isn’t about what’s on the outside, but rather is more about having a sense of self-confidence, self-awareness, and liking who you are as a person. See yourself as a whole person and not just certain body parts. Surround yourself with positive people who are supportive and loving of the authentic you. Step back from social media when you feel certain images and messages are bringing you down. Do something nice for yourself every day, such as making time to do an activity you love or taking time to just relax and be yourself. Finally, make a positive change in someone else’s life by finding time to reach out and help others. Nothing makes you feel better than doing something for someone else. If you’re looking to do something to positively improve your body and mind, check out one of our yoga or meditation classes we offer each week here. We are also offering two amazing meditation workshops this month as well. To celebrate Women's History month, the Shaler North Hills Library is putting together some special programs in March. These programs will be focusing on promoting a positive body image for women. And our very own Abby Ritter, Yoga Instructor, will play a part in this event by offering a free class on the benefits of yoga on March 20th at 6:30pm at the Shaler North Hills Library. Read the full article from the Pittsburgh Post-Gazette here. Many of us have more shoes than we know what to do with. We look through dozens of pairs each day to decide which one we’ll wear. And those are just the shoes we actually keep in our closets. It’s estimated that there are over 1 billion unworn pairs of shoes taking up space in our closets and storage bins. Maybe they are out of style or outgrown. Either way, if they are in good condition, they would be a priceless treasure to someone in a developing country. The Village is asking you to help us support another good cause and donate your shoes. Why are shoes so important? One in two people lives in extreme poverty in sub-Sahara Africa. And with HIV rates at an epidemic level, many children are left orphaned and shoeless. It’s estimated that there are over 20 million orphaned children without shoes. Shoes also offer a measure of health and safety, as being barefoot in these regions can lead to cracks, cuts, and injuries on the feet that are never treated and could end up with a serious infection, parasitic, amputation, or death. Shoes are also required for children to attend school as part of their uniform. Without them, they are unable to be a part of the classes. Currently, 40% of children are unable to attend school because they don't have shoes. This prevents many adults and children from working, as many jobs require walking long distances. Therefore, their income is also negatively impacted. Spring is the time to de-clutter and start anew. Take some time to go through your closets and clear out your old shoes and fill your soul by donating your shoes so that others have the opportunity to live a better life. Starting March 1st through May 1st, both Village locations will be gratefully accepting your shoe donations for adults and children in sub-Sahara Africa. Have you ever noticed how you feel after a bowl of ice cream or a handful of cookies? Maybe a little guilty and regretful? It’s not just your imagination. Certain foods can actually trigger certain responses in our bodies. Because what we put in our bodies fuels us, it can directly affect our brain, which in turn, determines our mood. We need a certain supply of vitamins and minerals to keep our bodies functioning optimally. When we feed ourselves food low in nutritional value, our risk of depression and other emotional issues can rise. So what should you limit to keep your body and brain on a positive path? Refined sugar is one of the biggest culprits of a bad mood. At least in the long run. It may feel good for a few minutes, but leads to fluctuations in your blood sugar, which then causes fluctuations in your moods. It can also lead to insulin resistance, which plays a large role in mental health. Sugar has also been shown to create chronic inflammation in the long term, which can wreak havoc on our immune system and be linked to a greater risk of depression. Processed foods are another thing to avoid if you want to keep your mood steady and positive. They are filled with many chemicals that are connected to irritability and a bad mood. So what should you be eating if you want to keep your brain happy? Eating healthy fats rich in omega-3 fatty acids can play a big role in decreasing inflammation, which promotes good moods. Fermented foods, such as yogurt or fermented veggies, are another great option, as they promote good gut health, which is directly related to our moods. Getting in your five a day of veggies and fruit helps ensure you’re getting all the nutrients and fiber your body needs, which keeps our bodies physically and mentally healthy. Complex carbs such as root vegetables and whole grains can also help keep your mood stable, as they digest slowly and create a more balanced blood sugar level. Getting plenty of vitamin D, especially in the winter months, from some good old-fashioned sunshine can help keep depression at bay. Finally, keep up your water intake. Dehydration can cause tiredness and agitation, while staying hydrated can keep us energized. For more tips on how better nutrition can improve your health and daily life, check out our upcoming workshop, The Art of Healthy Living Through Yoga & Ayurveda with Bhavna Mehta next Sunday, February 26th.